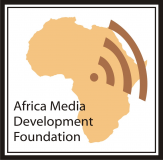 Africa Media Development Foundation, AMDF, has called on Nigeria government to grant freedom of expression to the country’s journalists. 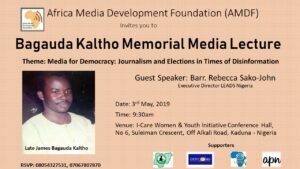 The call was made by the Coordinator of the Africa media Development Foundation (AMDF), Sekyen Dadik, while speaking to online journalists in Kaduna, northwest Nigeria, Wednesday during a media forum in observing the World Press Freedom Day. She pointed out that some of the challenges faced by journalists were subject to harassments and intimidation amongst other things, making reference to the recent press freedom index which reveals Nigeria to have fallen from 116 to 122.; Placing Nigeria on the red-zone for press freedom in the globe. 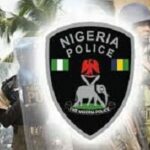 “Journalists and bloggers in Nigeria are no longer at ease to publish reports perceived to be unfriendly by those in power; especially stories on politics, terrorism among others. A number have been recalled from their beats or jobs. “However, it is rather unfortunate that in Kaduna State, northwest Nigeria alone, over 5 five journalists have been arrested in less than two years on different charges but all geared towards shutting down the press. “Hence, as a day of reflection among media professionals about issues of press freedom and professional ethics, we call on journalists not to be threatened or intimidated but to ensure the highest standard of professionalism is implored in carrying out their mandate. “As a day of support for media which are targets for the restraint, or abolition, of press freedom; we call on the general public to rise up and join the media in crying out against every attempt to gag the press which is the hope of the voiceless,“ she observed. The coordinator also appealed to the government to see journalists as partners who are interested in moving the country forward and not antagonize the government. She added that Kaduna State has the highest ranking of press suffocation and arrest of press men in the course of their official duties. 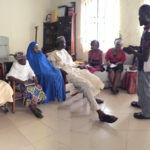 She explained, “AMDF calls on the government at all levels, especially Kaduna State to consciously create space for press freedom and freedom of expression as no government will achieve meaningful development by gagging the press and limiting freedom of expression. Speaking at the event were some members of the League of Professional online Journalists (LEPOJ) who shared personal challenges and experience in the field of journalism and made a decision to keep working hard despite all odds.